This edition of Masters of Persian Music features two of the most important figures in Persian classical music touring with the next generation of musical masters! 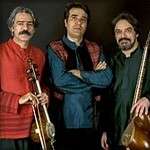 Kayhan Kalhor on kamancheh and Hossein Alizadeh on tar are joined by remarkable young vocalist Hamid Reza Nourbakhsh. Alizadeh is considered an inspiration to an entire generation of Iran’s musical culture. Trained in composition, performance and musicology at the Universities of Tehran and Berlin, he also studied with the ostads (maestros) of Persian music including Ali Akbar Khan Shahnazi, Nur Ali Borumand, Abdollah Davami, Mahmood Karimi and Houshang Zarif. interpretation of Mirza Abdollah (1843-1918), a noted court musician and master of both the Persian setar (a four-stringed plucked lute) and the tar. world. He has taught at the University of Tehran, the Tehran Music Conservatory and the California Institute of the Arts. Kalhor began his musical studies at the age seven and at 13 was invited to work with the National Orchestra of Radio and Television of Iran, where he performed for five years. At 17 he began working with the Shayda Ensemble of the Chavosh Cultural Center, the most prestigious arts organization in Iran at the time. Kalhor has traveled extensively throughout Iran, studying the music of its many regions, especially of Khorason and Kordestan. He has soloed with a number of leading ensembles, including the New York Philharmonic and the Orchestre National de Lyon, and is co-founder of the renowned ensembles Dastan, Ghazal: Persian & Indian Improvisations and Masters of Persian Music. 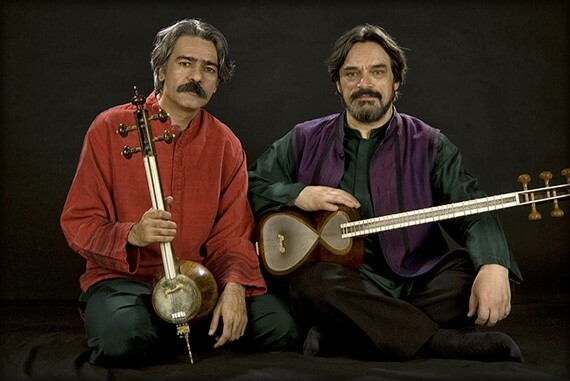 Kalhor has composed works for Iran’s most renowned vocalists Mohammad Reza Shajarian and Shahram Nazeri and has performed and recorded with Iran’s greatest instrumentalists. Kayhan has also composed music for television and film and was most recently featured on the soundtrack of Francis Ford Coppola’s Youth Without Youth in a score on which he collaborated with Osvaldo Golijov. Last season, composer John Adams invited Kalhor to perform a solo recital at Carnegie Hall as part of his Perspectives Series and in the same year Kalhor appeared on a double bill at Lincoln Center’s Mostly Mozart Festival. 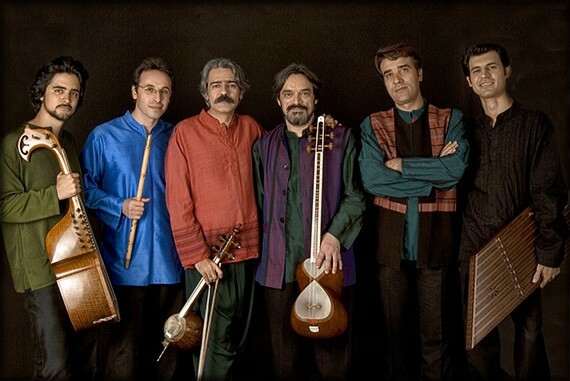 The Masters of Persian Music ensemble also includes vocalist Hamid Reza Nourbakhsh, a leading disciple of Mohammad Reza Shajarian. Accompanists are M.R. 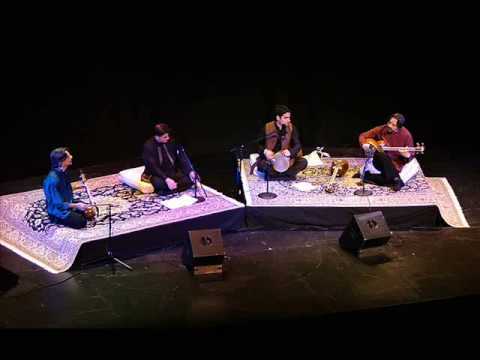 Ebrahimi (barbat or oud, plucked lute) Alireza Hosseini (tombak, single-headed goblet-shaped drum), Rouzbeh Rahimi, (santur, a hammered dulcimer) and Siamak Jahangiry (ney, flute).